Eric’s practice focuses on nearly all the needs a business will have throughout its lifecycle, from startup and formation through capital raising and, ultimately, sale, including M+A, corporate finance, intellectual property, and succession planning. 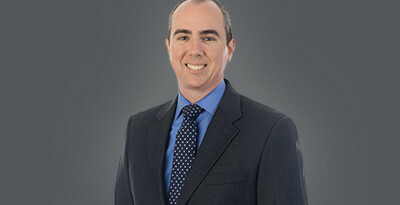 He also serves as outside general counsel to a number of clients. He joined Kegler Brown in 2006. Eric advises buyers and sellers in acquisition transactions, including mergers, asset purchases, stock purchases and reorganizations (both domestic and international). He also has experience in deal structuring and negotiation and regularly provides counsel to clients on all legal aspects of business combinations. With a focus on the M+A needs of the technology industry, Eric guides clients through all deal-making aspects and strategic considerations unique to that sector, including structuring, execution, risk management and mitigation, synergies and post-transaction integration. As the numbers of deals involving tech targets are growing faster than the general M+A market, Eric provides essential assistance to both buyers and sellers, especially growth-stage companies interested in accelerating their growth through acquisitions, or seeking an exit. Eric advises both new and established businesses in matters related to organization, capitalization, finance and structure, contract negotiation and the fiduciary duties of an organization’s directors and officers. He assists business clients with intellectual property strategies involving trademarks, copyrights, and software and technology agreements. Eric also advises clients on issues involving executive compensation, deferred compensation, stock options and other equity awards. He also helps business and individual clients identify, protect and preserve their assets by providing counsel on issues regarding estate planning and succession planning for business owners, such as buy-sell agreements and wealth transfer strategies.